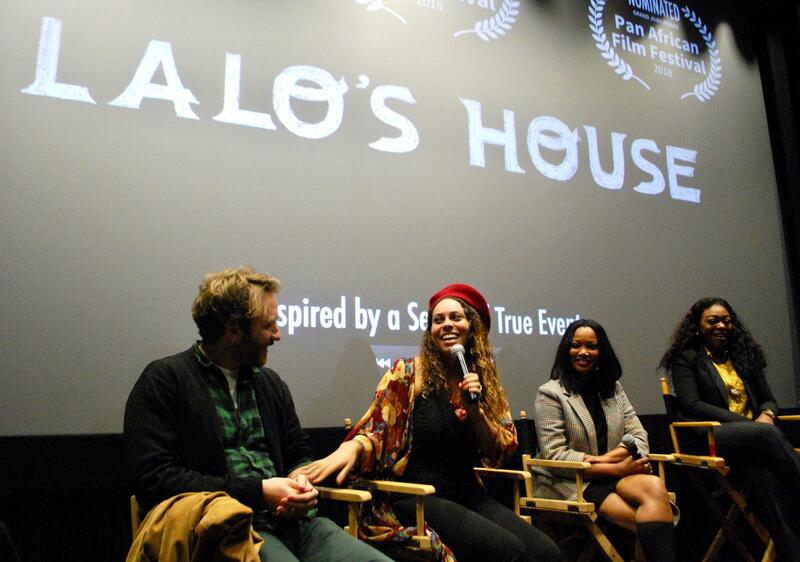 Lalo’s House was a film nine years in the making for director and co-writer Kali, who graduated from the MFA Film & Television Production program. Before attending SCA, Kali received a Bachelor's Degree in Anthropology with a minor in Classical Civilizations and Film from Howard University. It was through her anthropology background that she learned about the child trafficking issues between the U.S. and Haiti, subsequently going to Haiti and investigating a Catholic orphanage where a nun put girls as young as 12 years old out for prostitution. 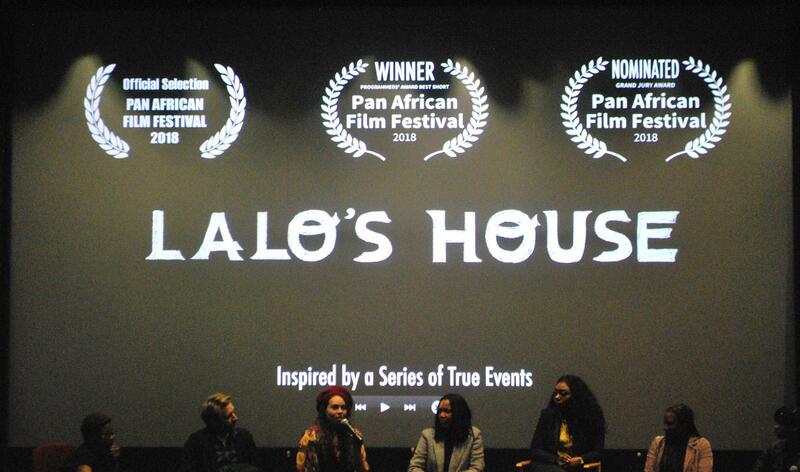 The harrowing footage from this documentary led to Kali’s acceptance into the School of Cinematic Arts, and it was there that Kali found the faculty, crew, resources, and support to make her passion for telling the story of Lalo’s House a reality. The film premiered at the Pan African Film Festival on February 10th, winning the Programmers’ Award for Best Short. At the USC screening later in February, there was not a dry eye in the room as the end credits rolled: Lalo’s House enraged the spirit and captivated the heart of the audience. For Garcelle Beauvais, who also plays the role of Sister Francine, the villain at the center of Lalo’s House, this project was deeply personal. The actress and executive producer was born in Haiti, immigrating to the United States with her mother and sisters at the age of seven. Now a mother herself, the filming of Lalo’s House was the first time Beauvais’s children had the opportunity to experience her native country. As she explained, “I love my country and I loved being there, but telling a story that is so tragic and knowing that it is happening not only in Haiti but also all over the world was difficult. I am very proud of the way we showed the beauty of the island while at the same time getting to the truth of the tragedy.” The cognitive dissonance in the fact that things this heinous are still occurring in the 21st century is startling, and Lalo’s House does an excellent job of exposing dualities that are too easily unseen: The rainforest canopy looks beautiful from up above, but the production of Lalo’s House shows the reality of what can happen below. 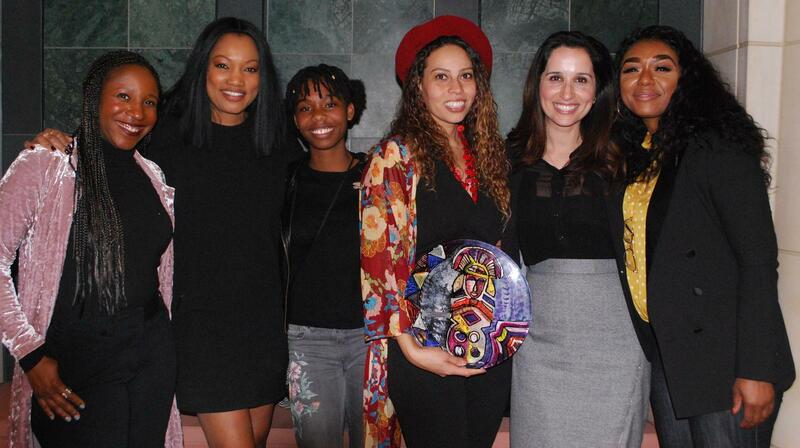 From left to right, executive producers Lisa L. Wilson and Garcelle Beauvais, with star Jasmin Jean-Louisall and director/co-writer Kelley Kali, joined by Damaris Diaz and Keyonna Munroe. Middle photo: Producer Victor Pourcel shares an amusing production story with Kali, Beauvais, and Munroe.